From the sensor or actuator to the cloud in less than a minute - CloudRail licobo GmbH is bringing this plug-and-play promise to HANNOVER MESSE 2019 and unveiling its new CloudRail.Box for IO-Link-compatible sensors and actuators. The CloudRail.Box aims to make it easy to connect industrial sensors and actuators to any cloud platform, such as Microsoft Azure or Amazon Web Services. This newly developed system automatically recognizes and configures connected IO modules and sensors. As soon as sensors or IO modules are connected to the CloudRail.Box, they appear on the CloudRail configuration interface, where the desired cloud platform can be selected. The sensor then immediately begins sending data to the chosen platform. 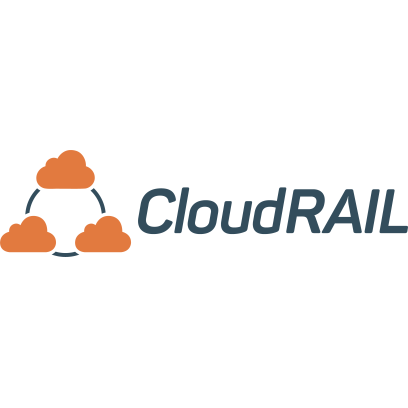 Complex integration projects used to take several weeks - even months - but now, thanks to CloudRail, the whole process can be completed in a matter of minutes. "We're seeing more and more of the traditional automation tasks of IT departments being taken over," says Felix Kollmar, Managing Director of CloudRail. "Through CloudRail, we are creating a new generation of automation technology for IT specialists, connecting sensors directly to the cloud - without requiring expertise in fieldbuses, for example." CloudRail currently supports the cloud services of Microsoft Azure, Amazon Web Services (AWS), SAP, IBM, Google and Alibaba. It also plans to add even more providers in the future. The CloudRail.Box - which is, of course, also configured and managed using a cloud-based device management solution - allows the user to view status information about all connected modules and sensors, control the flow of data to various cloud providers, and launch remote firmware updates. CloudRail is in Hannover to showcase its solution, available as a turnkey product, a white-label solution for partners or as a purely software-based solution for existing hardware. Still relatively unknown in the world of automation, this start-up is using HANNOVER MESSE as an opportunity to establish itself in the industry. After all, it already has a few success stories under its belt. "CloudRail has been providing cloud connectors for the software industry for years. Our technology is already being used in over 150 million devices worldwide," says Kollmar, before making a big announcement: "We're now using this expertise to bring OT to the cloud, finally making the Industrial Internet of Things a reality."